Research on diurnal plant–pollinator interactions indicates that a small number of generalist plants provide a disproportionately high amount of floral resources to pollinating insects. Identifying these generalist plants would help prairie restoration specialists select species that will provide forage for the majority of pollinator taxa. 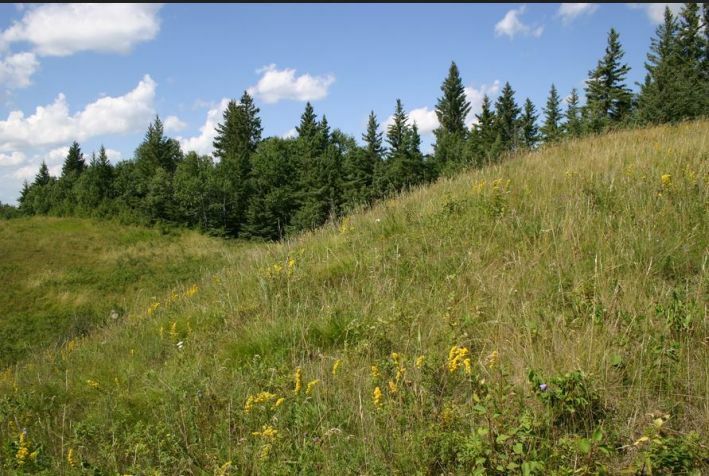 Field research in three Canadian fescue (Festuca hallii) prairie preserves that were at most 3.3 km away from each other was conducted in 2014 and 2015 to create pooled, weighted, plant–insect visitor matrices for each site. Using these matrices, generalization (G) scores were calculated for each plant species to help assess their importance to wild insect visitors as this method controls for differences in insect abundances over the year. The three species with the highest average generalization scores were Solidago rigida, Erigeron glabellus and Symphyotrichum laeve. Species accumulation curves were created to determine how many plant species would need to be present before most pollinator taxa would have at least one acceptable forage species. This research indicates that the 16 plant species (33% of the total) with the highest average generalization scores were visited by 90% of the observed pollinator taxa. To detect exceptionally attractive plant species while accounting for natural differences in abundance, we calculated the insect, bee and fly visitation rates per inflorescence. There was several specialized plant species that were visited frequently by bees. Most of these specialized plants had purple or yellow, tubular flowers, and bloomed in mid to late summer when bee populations were most numerous. NOTE: Supplementary files to this article can be found in the left menu.